Find out what's inside the new What Bike? 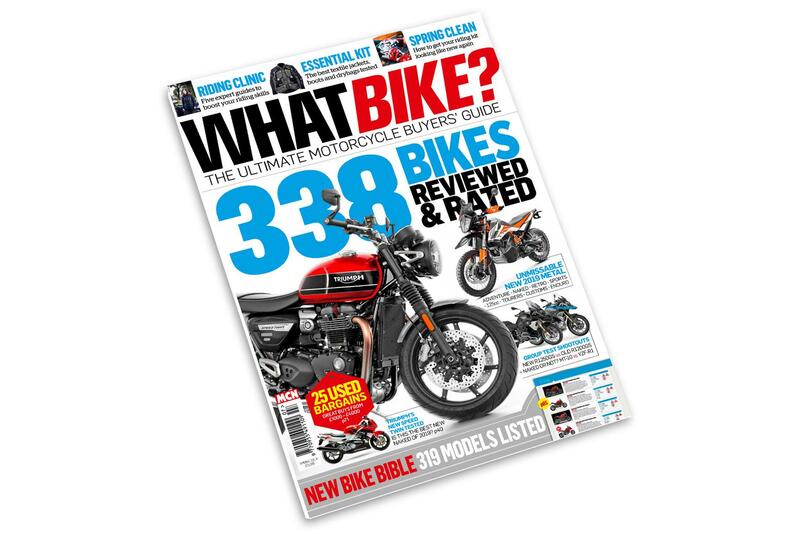 The new issue of What Bike? is on sale now, complete with a huge directory of the 319 most important new models of 2019, plus expert in-depth tests and reviews from the team behind the world’s biggest motorcycling weekly – MCN. In addition to 46 pages of essential new-bike listings, the Spring issue of What Bike? picks out the hottest new bikes for in-depth reviews and tests, and pitches the most important new bike of 2019 against the biggest selling of 2018: BMW’s new R1250GS versus the outgoing BMW R1200GS. But 2019 could also be the best year for British motorcycle manufacturing since the heyday of the 1960s. With Triumph bringing some great new models to market – the new Scrambler 1200, Speed Twin and Street Twins are on test in this issue – and Norton releasing an all new pair 650s starting at just £9999, the UK’s most well-known brands are ramping-up the temptation. Add in a resurgent CCM, bullish Ariel, and incredible new electric bike from ARC, and there’s a recipe for some serious domestic bliss. The rest of the world isn’t doing too badly, either – with a liberal dose of homologation superbikes, nakeds, scramblers, and tourers from all over the world raising the temperature to fever pitch for 2019. As well as a raft of brilliant new bikes, the issue also delves into 25 unmissable bargain machines in our used buyer’s guide – with prices ranging from £1000 to £4000. We also lift the lid on the best new bike kit, with our 1000-mile tests of the best new textile jackets, boots and waterproof drybags. The kit you’ve already got might look worse than it really is, too – so before you rush out to replace it, follow our handy tips for rejuvenating your bike gear with our spring-cleaning special feature. It’s not just about what you ride and wear, either. The latest issue features five invaluable expert riding clinics to help you get more out of every mile you ride in 2019. What Bike? Spring 2019 is out now in good newsagents – or you can buy direct and get free UK p&p. What Bike? Autumn issue on sale now! What Bike? Spring 2018 is on sale now!! The spring issue of What Bike? magazine is out now.